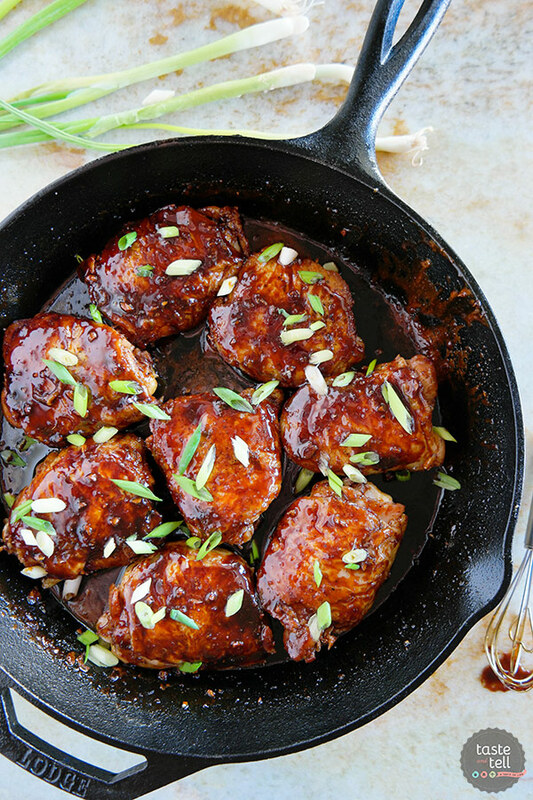 12 Cast Iron Pan Chicken Recipes that'll Make You Want to Hug Your Granny! 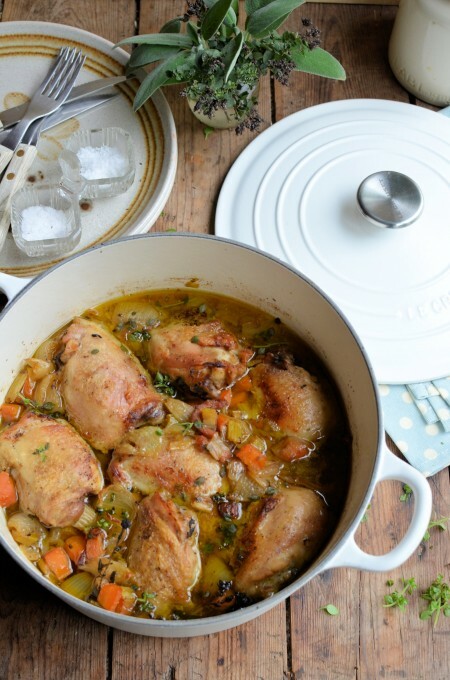 Home > Recipes + Food > Easy Family Dinner Ideas > 12 Cast Iron Pan Chicken Recipes that’ll Make You Want to Hug Your Granny! 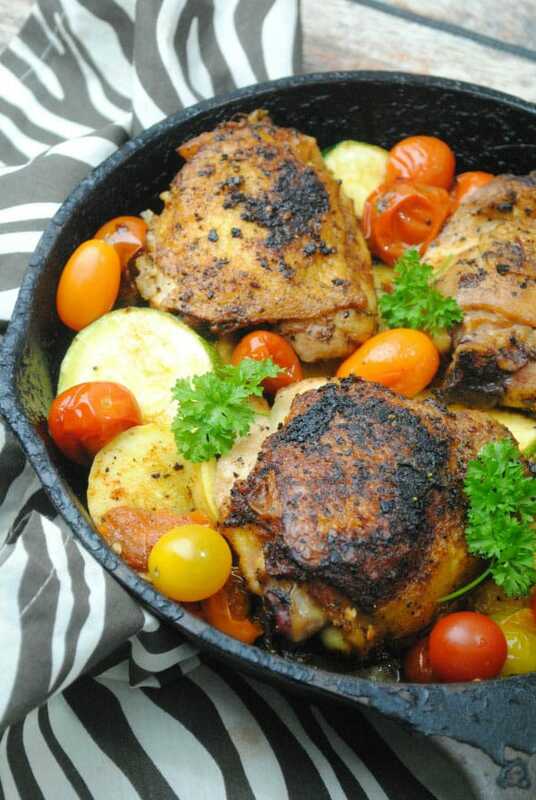 12 Cast Iron Pan Chicken Recipes that’ll Make You Want to Hug Your Granny! 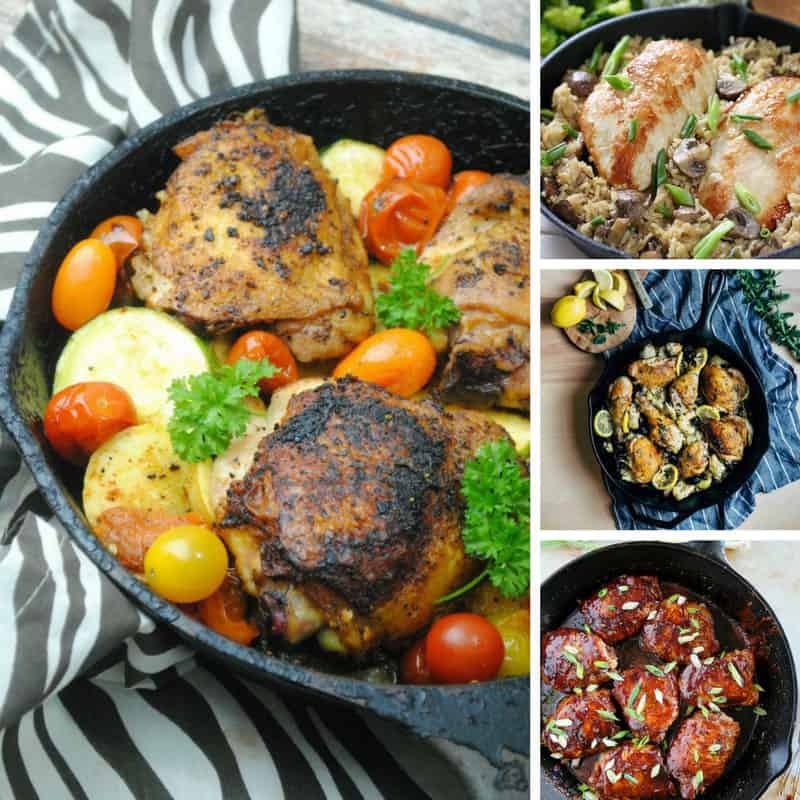 Check out the best chicken cast iron pan recipes, including some tips on how to use your cast iron skillet for cooking AMAZING fried chicken! Oh my goodness… you know that old cast iron pan you have hidden away at the back of your kitchen cabinet? Well it’s time to pull it out and put it to good use because it turns out that granny DID know best and that humble hand me down pan is about to become your most treasured kitchen possession! You just have to know how to use it right. 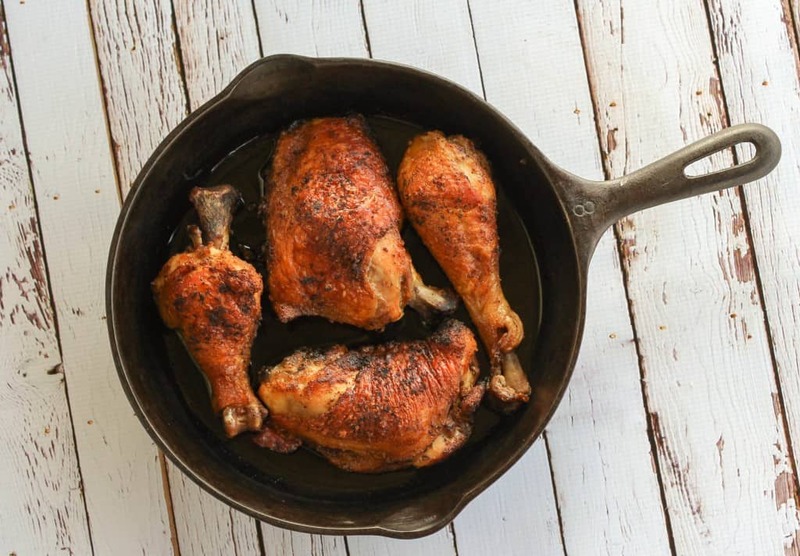 Which is why you NEED to check out these super simple chicken cast iron pan recipes and make sure you read the tips on how to use your cast iron skillet for cooking AMAZING fried chicken! Don’t forget to scroll all the way to the end so you don’t miss any of the fabulous recipes, and be sure to pin your favourites as you go so you can find them again later! 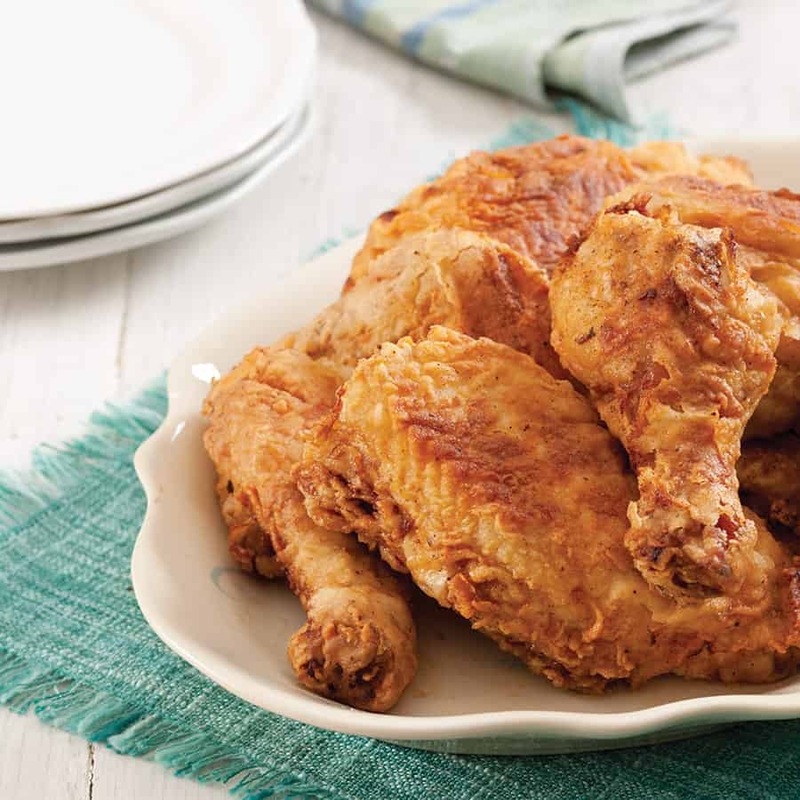 When it comes to making tasty fried chicken at home it’s not so much the recipe that makes it taste great but HOW you prepare and fry your chicken. 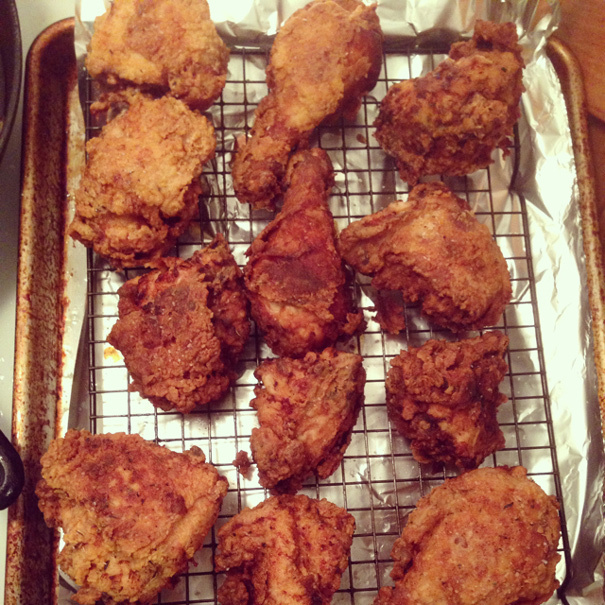 So here are some top tips for cooking cast iron skillet fried chicken the whole family will LOVE! 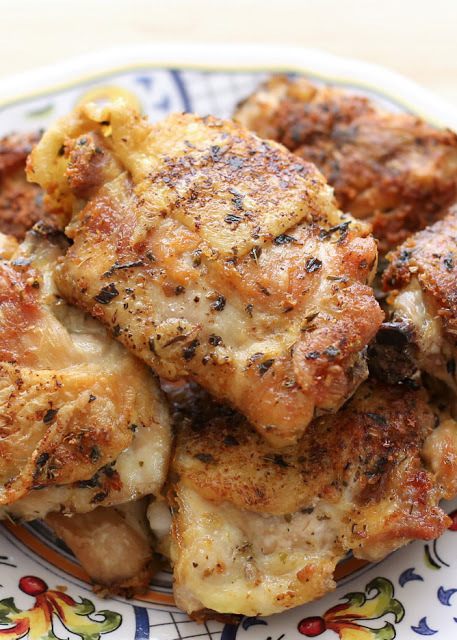 For an extra crispy crust you need to let that chicken rest before frying! Skillet oil gets SUPER hot! Protect yourself with a splatter screen like this one This handle grip makes it safer to handle your pan on the stovetop. It’s dishwasher friendly for easy cleaning Love your skillet by cleaning it properly after each use and you’ll be handing it down to your grandchildren! 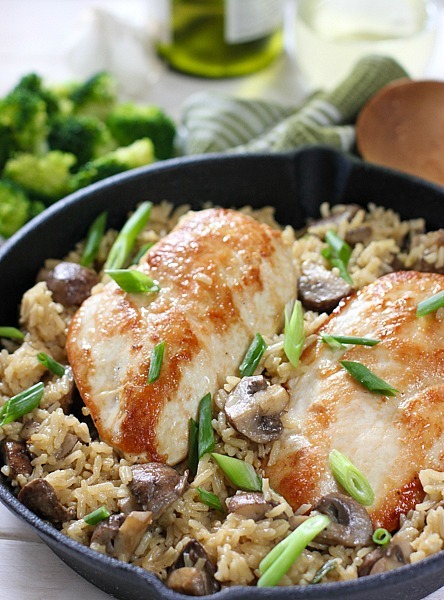 You know how much we LOVE quick and easy meals around here so we couldn’t resist sharing these chicken cast iron pan recipes that taste DELICIOUS but don’t require you to spend hours slaving away in the kitchen! This creamy chicken cooks in your cast iron pan in under 30 minutes! This cast iron skillet chicken combines the flavours of artichoke hearts, capers and olives for a sophisticated taste that’s so easy to make! 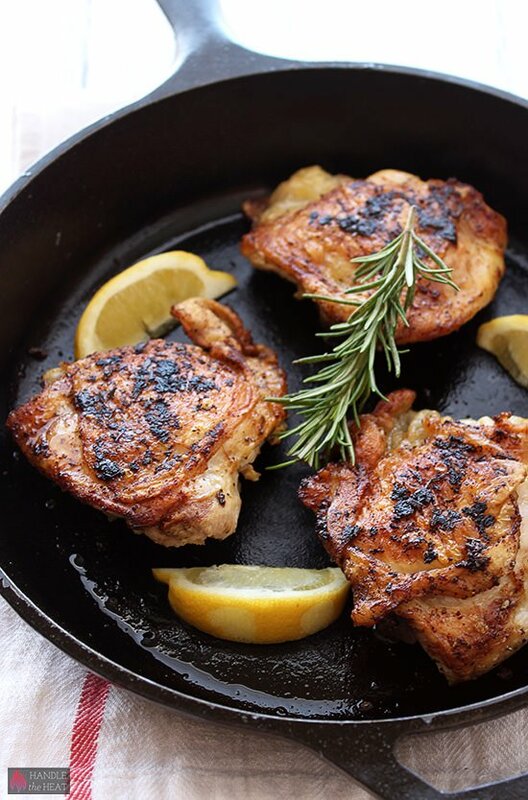 Whether you’re trying to make the most of a whole chicken, or you’re eating on a budget, these cast iron skillet chicken thigh recipes are the perfect addition to your weekly meal plans. No need to marinate the meat, simply sprinkle with seasonings and drop in the pan! Crispy skin and TONS of flavour! 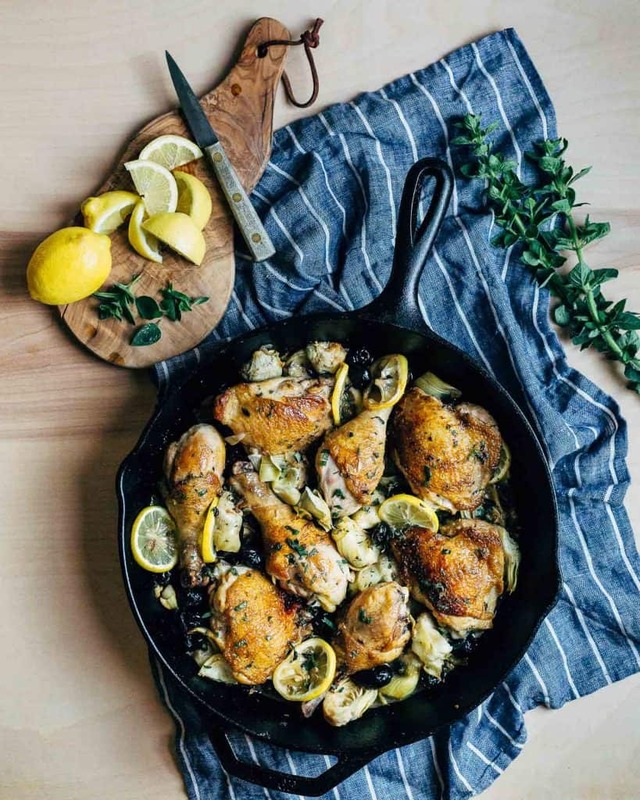 Loaded with classic lemon, garlic and rosemary flavours and cooked in the skillet for a perfectly golden skin! 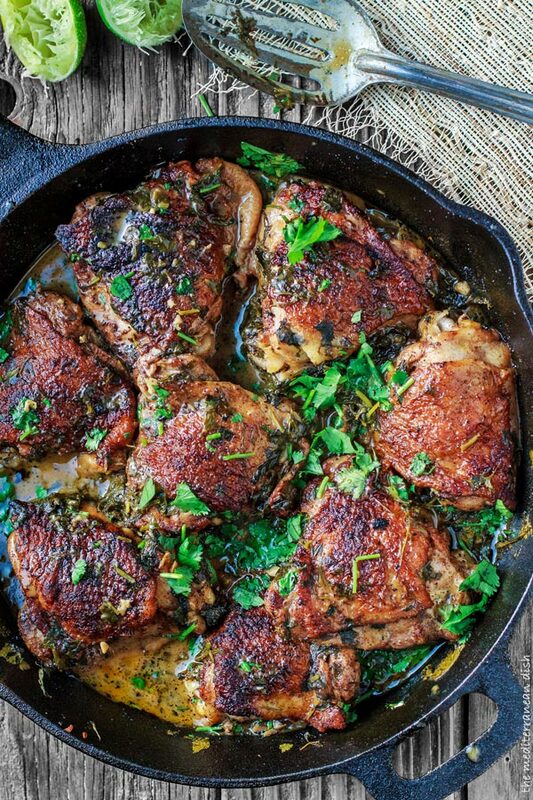 The stars of this delicious show are cilantro, lime and garlic… covering fall off the bone chicken thighs! Next PostNext 10 of the Best Spiralizer Recipes that Put the Fun into Veggies!